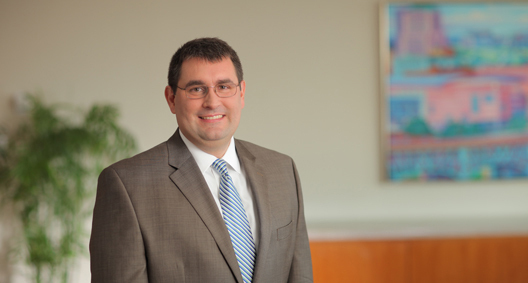 Todd Dawson concentrates his practice in the labor relations, wage and hour, and class litigation areas. He assists employers in all phases of labor relations, with a particular focus on the negotiation of collective bargaining agreements, strike preparation and assistance, and the defense and prosecution of unfair labor practices. In the wage and hour arena, Todd has handled class and collective actions ranging from several hundred putative class members to several thousand. Todd has also handled class actions involving plant closings, changes in retiree healthcare benefits and various state law issues. With a passion for negotiating and reaching mutual resolutions, Todd collaborates with his clients to understand all facets of their businesses and address their individual inner workings and needs. Todd is listed in The Best Lawyers in America©. He is a regular contributor to BakerHostetler's Employment Class Action blog, offering commentary on recent class action decisions and trends affecting employers. Experienced in assisting clients with preparing for and defending against union organizing efforts under the National Labor Relations Board's "ambush" and "micro-unit" election rules, including litigation over supervisory status, appropriate unit considerations and alleged campaign violations. Represented a Tier One auto supplier in association with union negotiations at a plant of approximately 500 workers, including negotiation of significant concessions in wages, health insurance and pension benefits, necessitated by industry conditions. Assisted a client in the negotiation of a plant shutdown and the relocation of bargaining unit work following an impasse in collective bargaining negotiations and a lockout of employees. Successfully argued before the National Labor Relations Board for pre-complaint dismissal of multiple unfair labor practice charges filed by the union. Successfully negotiated a collective bargaining agreement that implemented a two-tiered wage scale, a new health insurance structure and the freezing of a defined benefit pension plan following client acquisition of a unionized facility. Won a trial court verdict in a class action involving approximately 800 potential class members alleging unlawful termination of their collectively bargained retiree health insurance under Sixth Circuit Yard-Man precedent. Affirmed on appeal before the Sixth Circuit. Obtained dismissal of a class litigation involving approximately 1,000 potential class members alleging unlawful implementation of caps on employer contributions toward retiree health insurance premiums. Affirmed on appeal before the Sixth Circuit. Successfully argued a case of first impression before the Sixth Circuit in which the appellate court held that retirees can be required to arbitrate disputes over collectively bargained retiree health insurance. Represented a client in the negotiation of a plant closing agreement caused by a global reorganization that closely followed (but did not result from) the unionization of employees. A favorable closing agreement was reached without the filing of unfair labor practice charges.